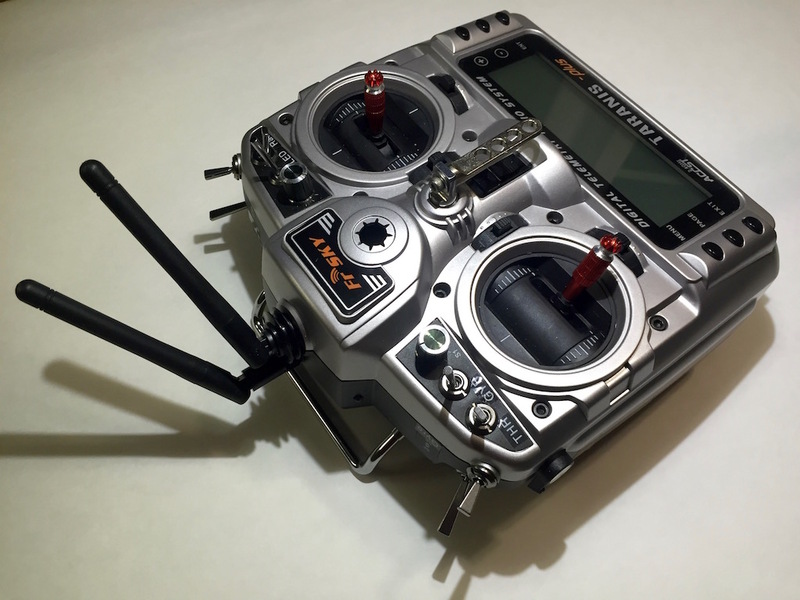 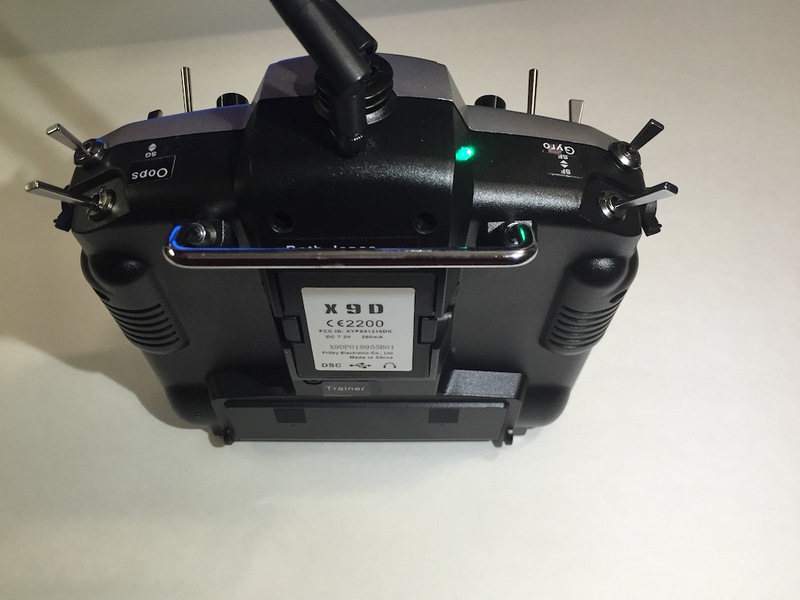 The Taranis Tx allows the addition of one module at a time to enable its use with other vendor’s receivers. 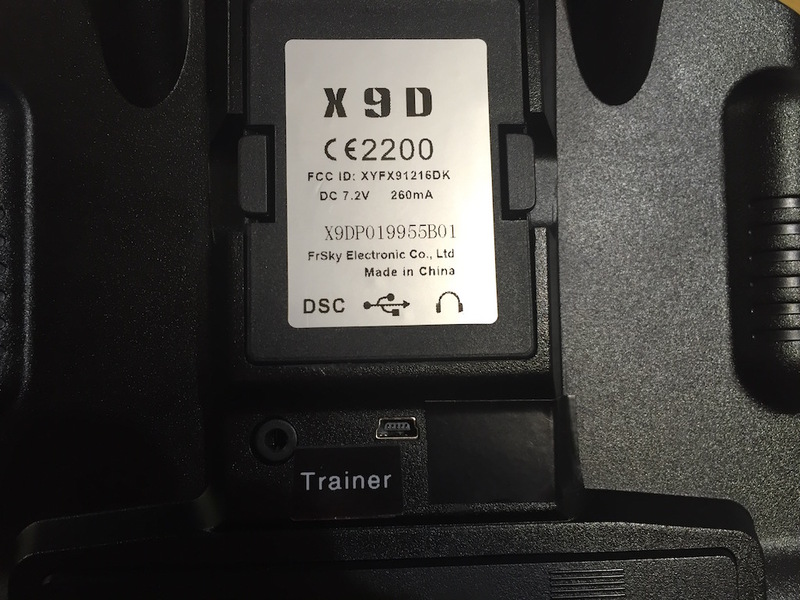 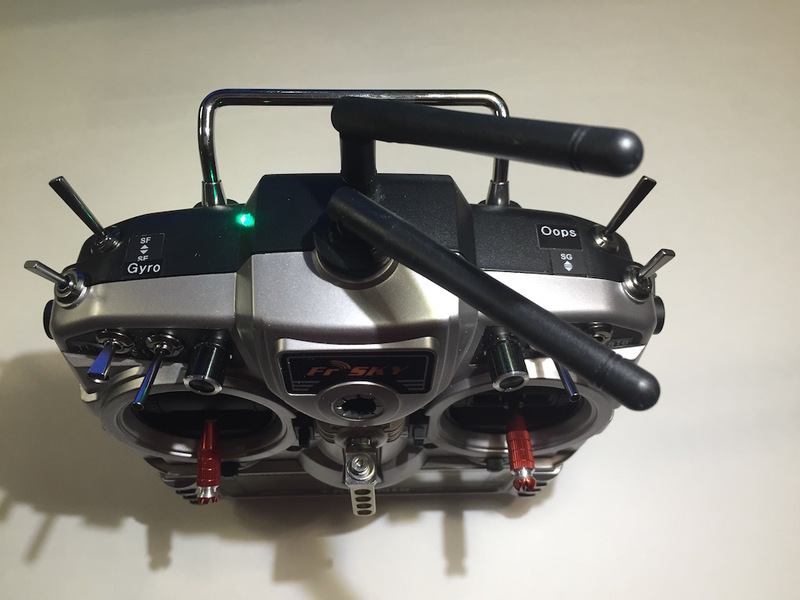 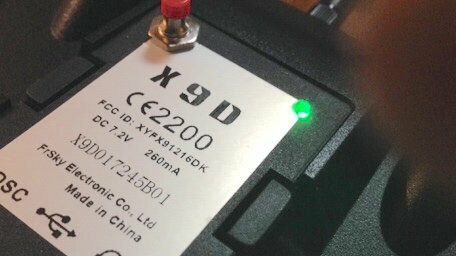 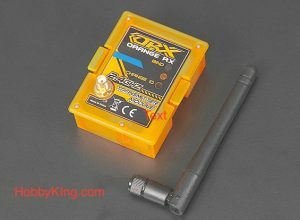 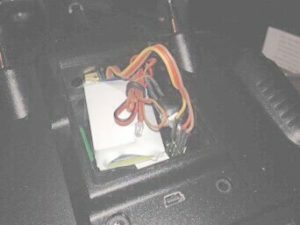 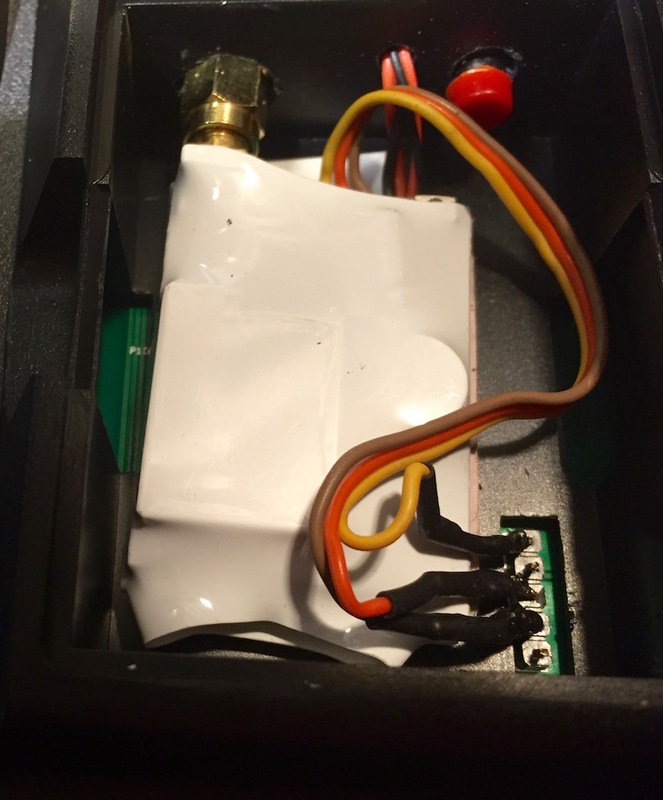 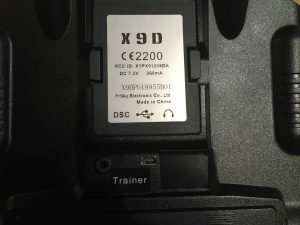 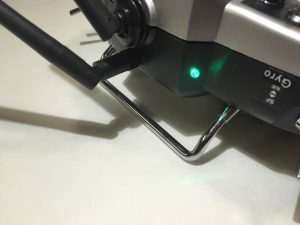 There is a simple to install OrangeRx DSMX module which has one draw back; The antenna comes out the back and one usually removes it when not in use. 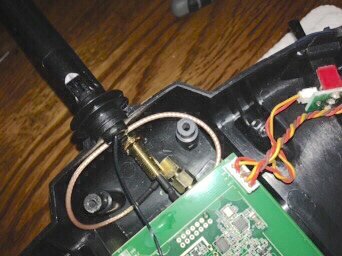 The reason is that when you set the Tx down on its back it rests on the antenna. 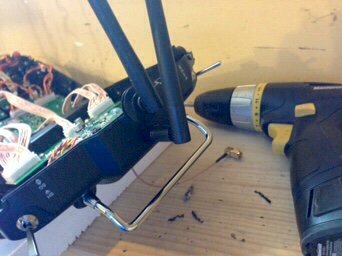 The problem occurs when one forgets to attach the antenna. 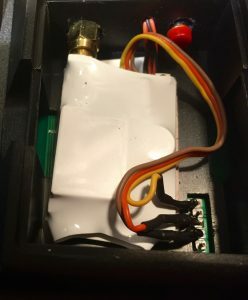 An instructor at the club forgot the antenna so frequently that he copied my idea and mounted the antenna to the Tx body. The module comes with enough wire that this was easily done. 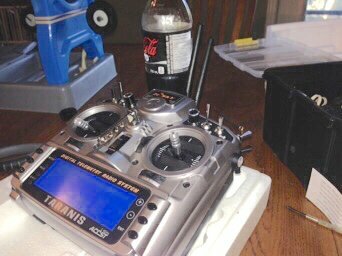 A few months ago in anticipation of getting my wings I purchased the Taranis Tx from Aloft Hobbies. 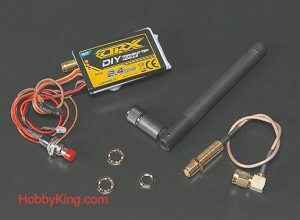 Hobby King didn’t have the ready to use DSM module instock so I purchased the DIY DSM module. 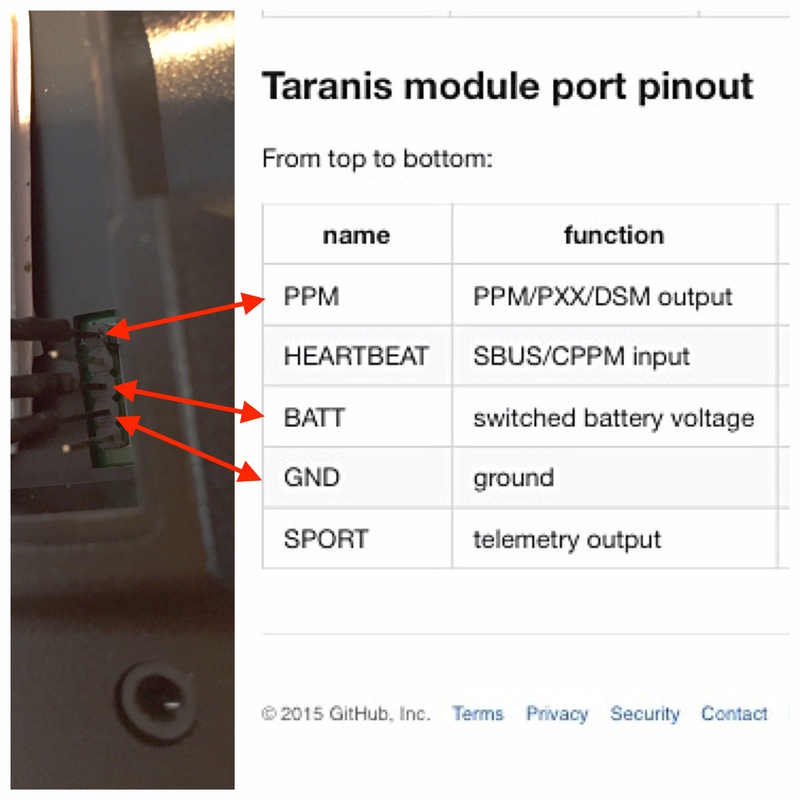 The Taranis Tx module bay pinouts. 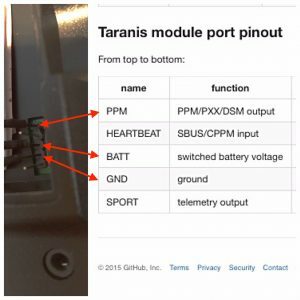 DIY Module in the bay with ppm, battery, ground and antenna connected. 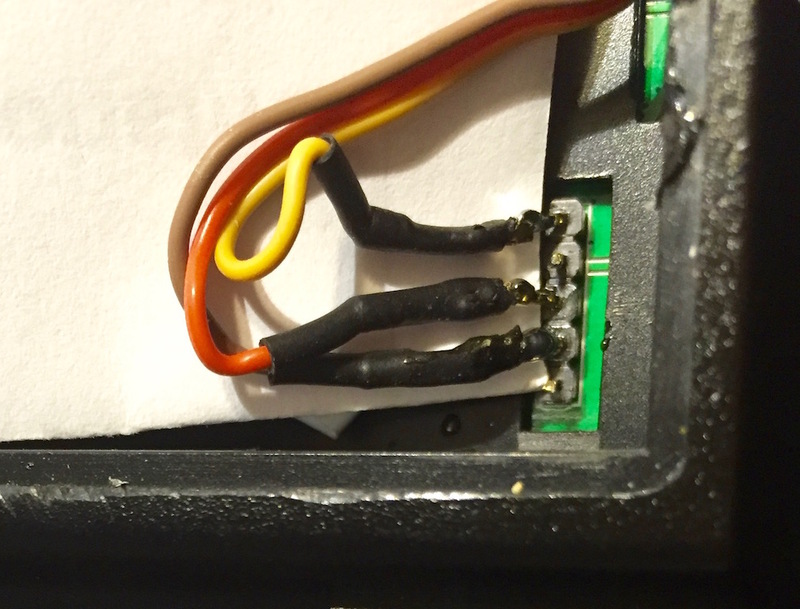 Module cover with Bind/Range Check/Mode button and flashing mode light. 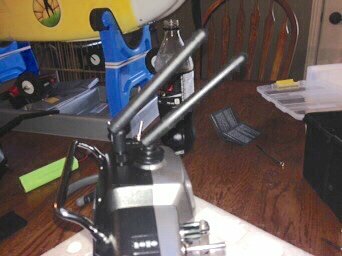 Antenna installed (the lower one). 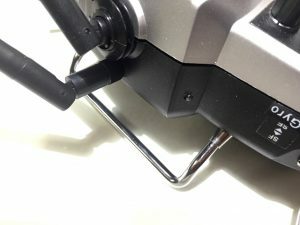 Antenna connected (the lower one). 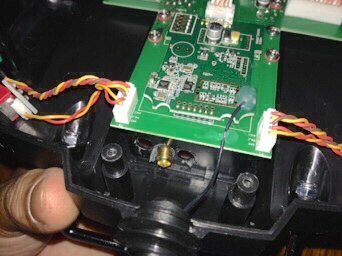 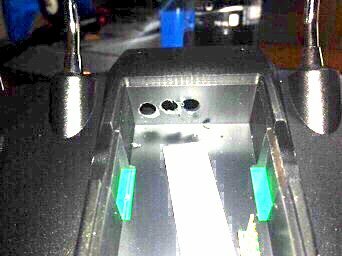 This is where you can see the problem with positioning the holes for the antenna and RF port.